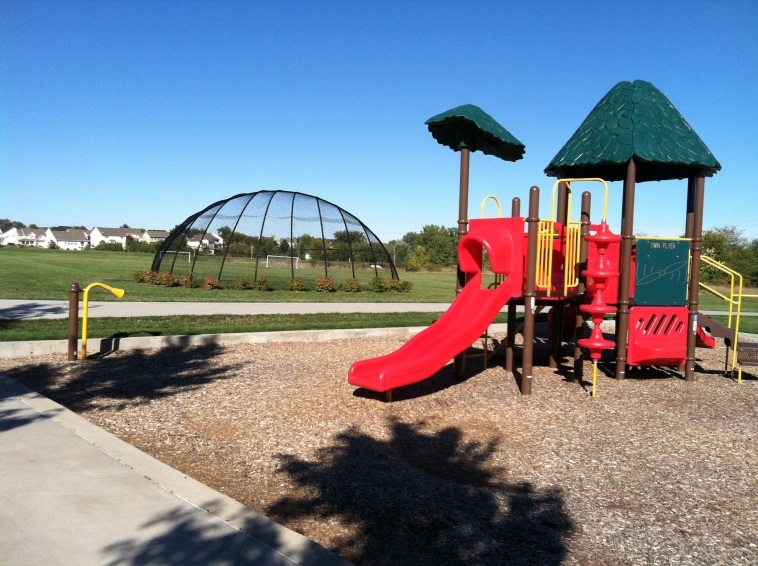 Aurora Park located in Newton, Iowa offers a ton of great features including a zip line. 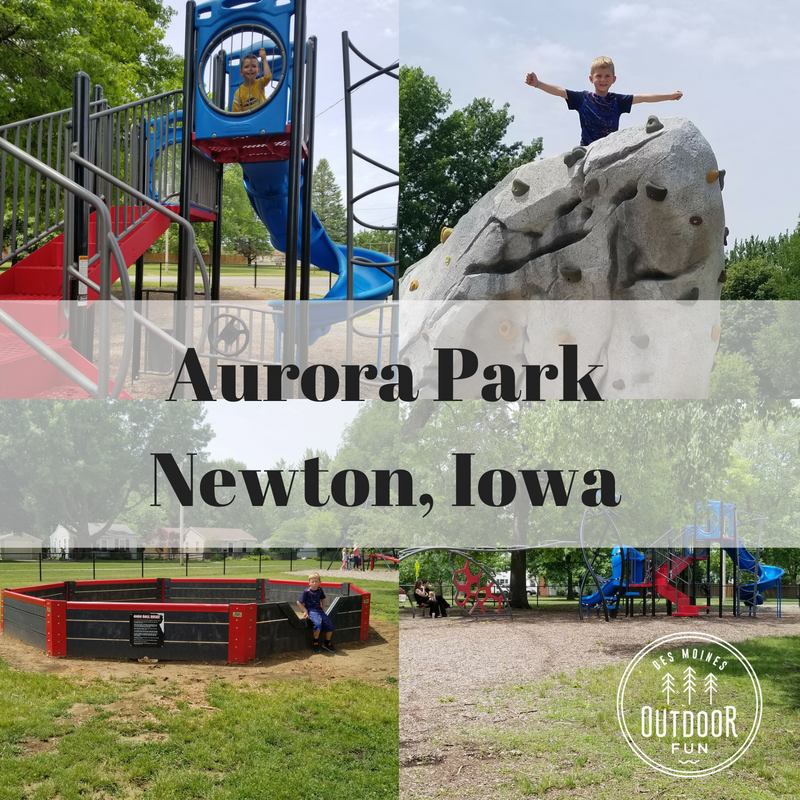 One of my boys’ favorite parks to visit is Aurora Park in Newton. The reason? The amazing zip line the have! It is long enough and high enough that big kids can have fun on it. 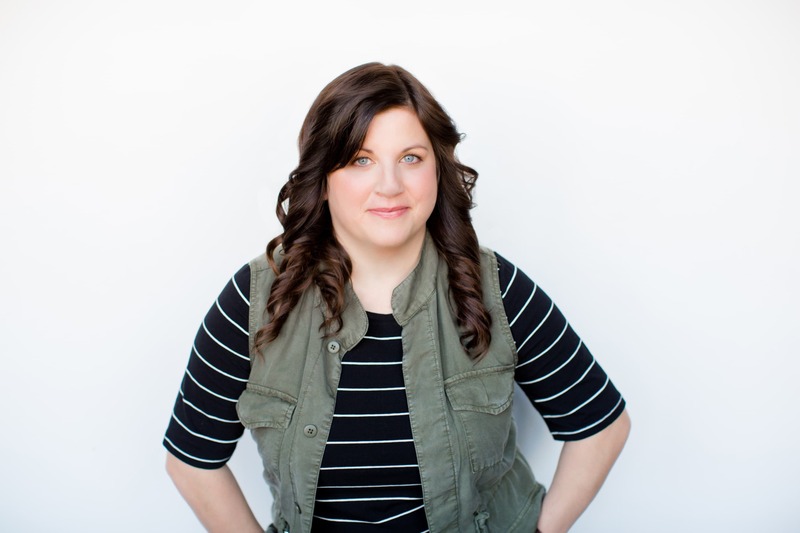 But with the help of an adult is great for younger kiddos as well. And let’s be honest, who doesn’t love to zip line?! 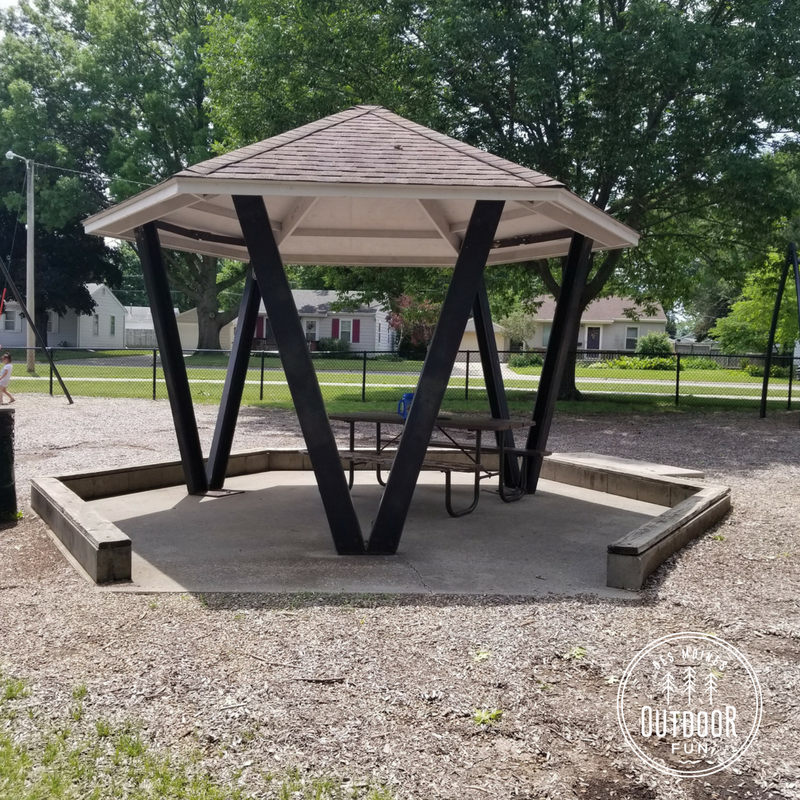 This park has tons of seating and shade between the little gazebos and benches surrounding the trees which are settled in between the swings and playgrounds. 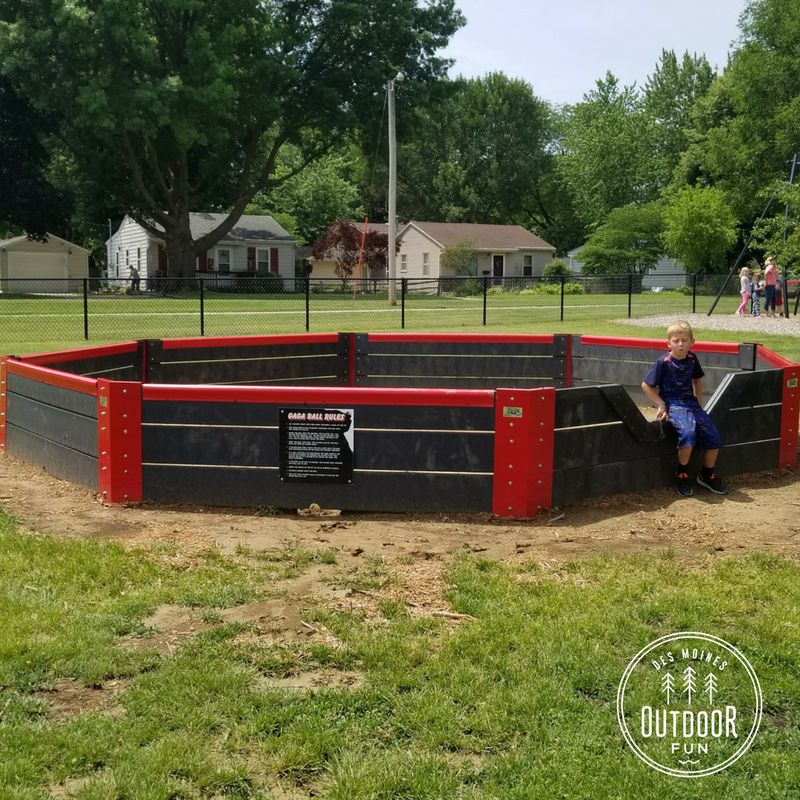 It has a gaga ball pit, which is all the rage at my kiddos school right now, so bring a ball! There are instructions right on the not if you need help learning the game, it’s pretty easy! 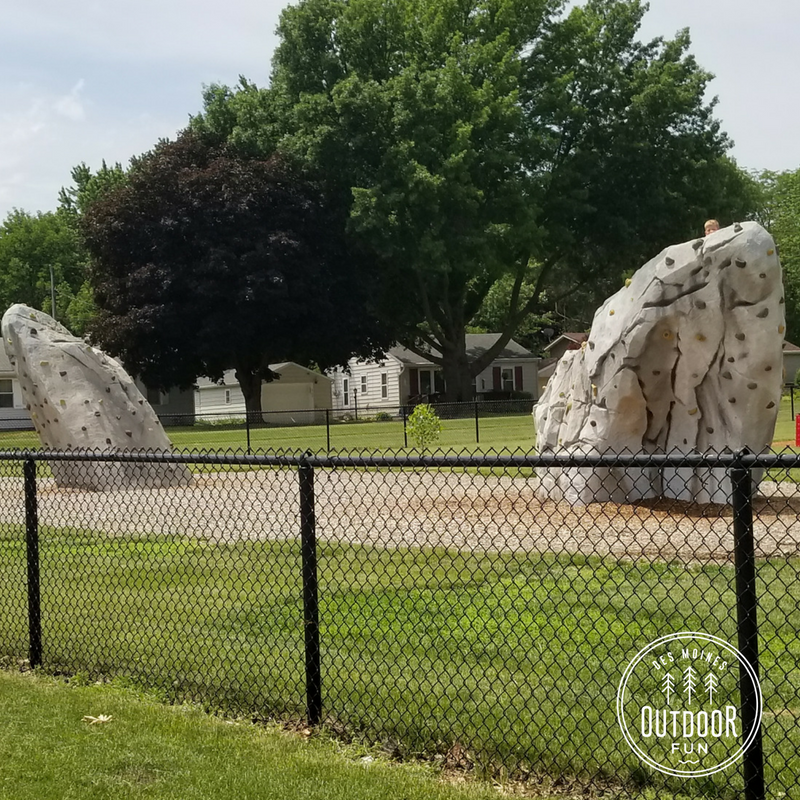 At the edge of one park are two big rock climbing walls, great for your climbers. The playground has some unique pieces that I haven’t seen around which make it fun to explore. 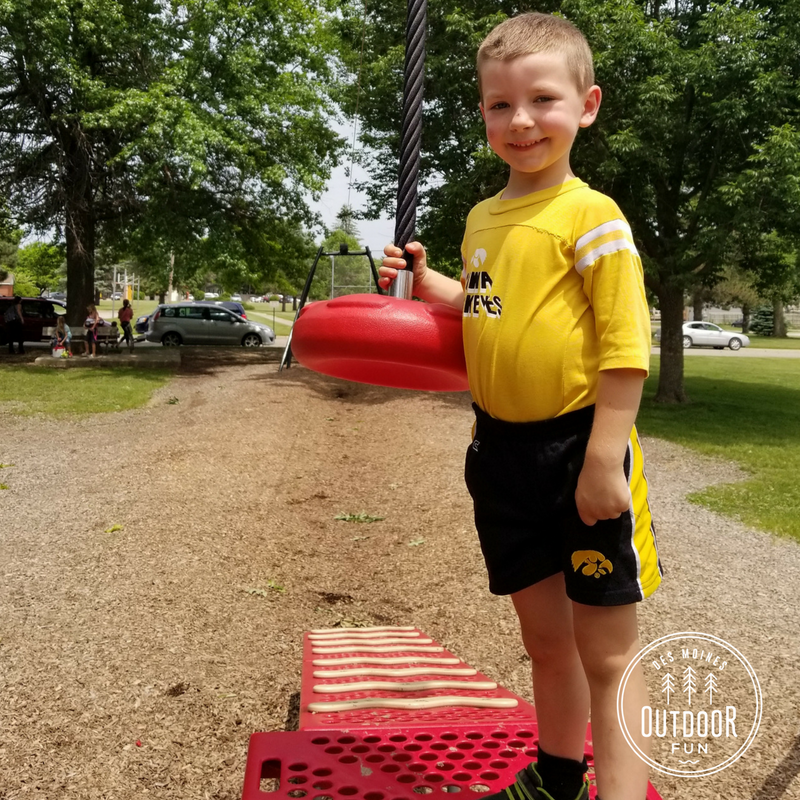 Plenty of monkey bars, swings, and slides. 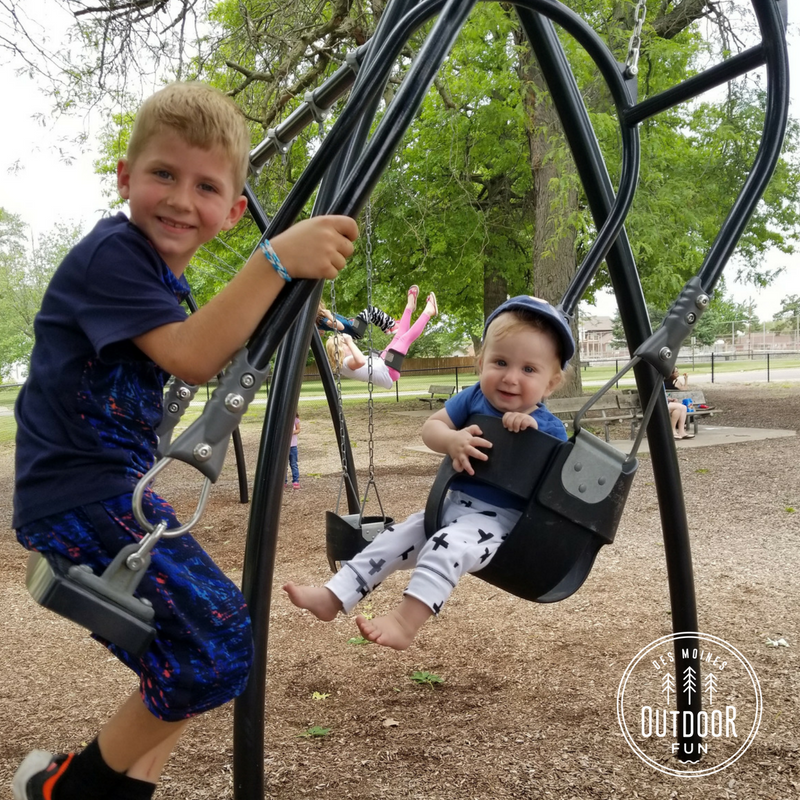 My favorite part was a super fun swing for an adult and a little one to tag team, or in my case baby and big brother! Across a little drive in the park is a huge green space with plenty of trees to play any sort of game or have a nice shaded picnic. 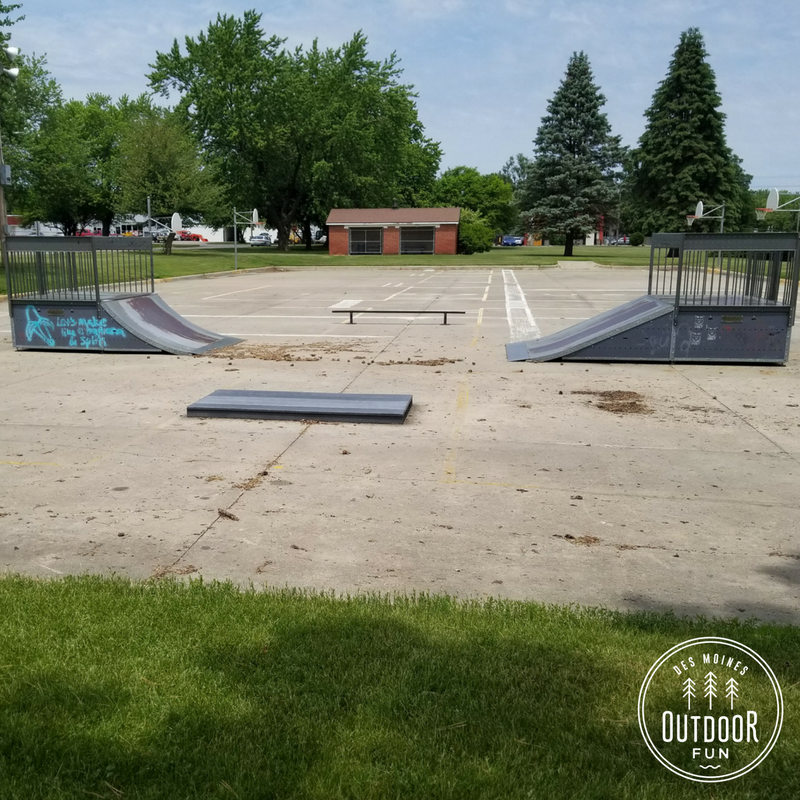 Next to that begins the big kid space with a skate park, basketball and tennis courts. 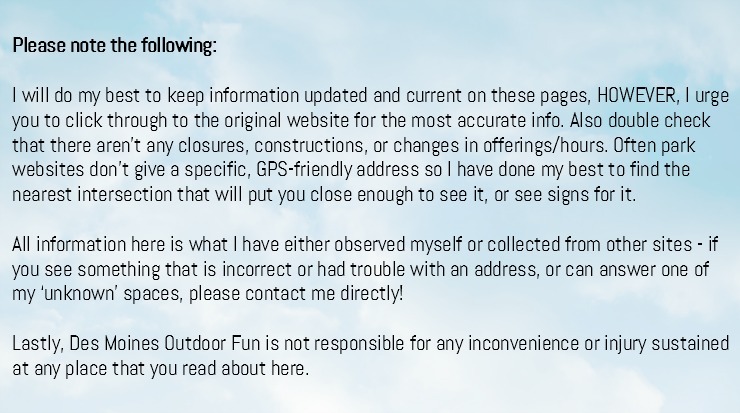 There is also a reservable shelter, restrooms, and water fountain. In fact, I’m not sure what else this park could add. 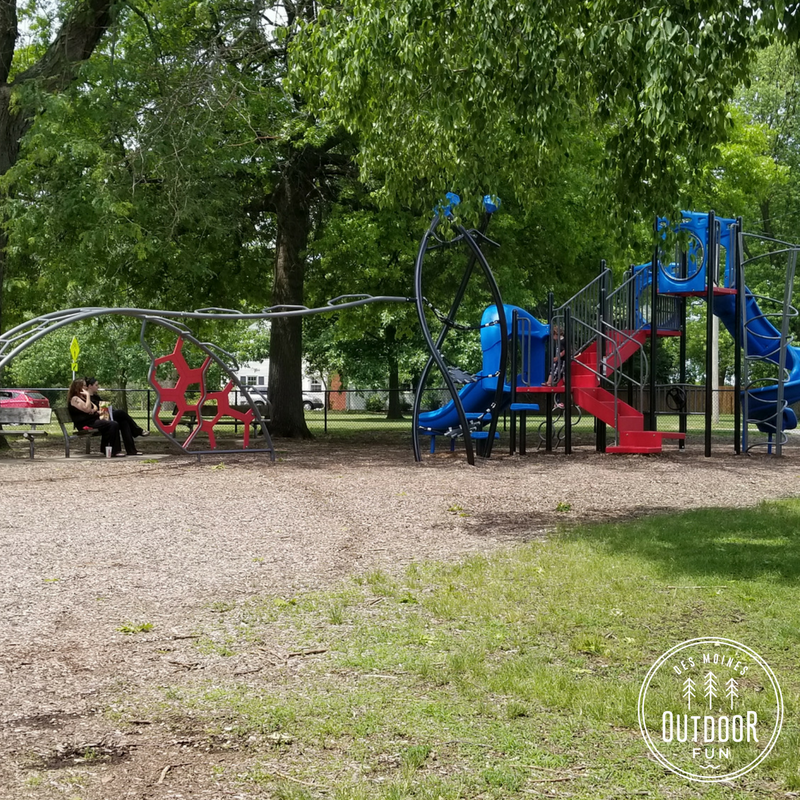 Aurora Park is one of our favorites for the zip line alone, but it has many more functional and fun aspects, and worth the little jaunt outside of Des Moines.